Most pickup trucks fall short when it comes to protecting passengers in certain types of crashes, according to new findings from the Insurance Institute for Highway Safety. Because of the results, CR's Overall Score for the Toyota Tundra fell below the threshhold for the vehicle to be recommended, leaving only the Ford F-150 as a CR recommended truck in the full-size category. CR factors in the results of crash tests from IIHS and the National Highway Traffic Safety Administration into our Overall Score for each vehicle we rate. Vehicles with the highest Overall Score in their category get a CR recommendation. That score also takes into account available safety systems, a vehicle's CR road test score, and results of CR's exclusive Auto Surveys, where owners report on their reliability experiences, and their satisfaction with their vehicle. In this latest batch of crash tests, the IIHS, which is funded partially by insurance companies, put 4 compact pickups and 7 full-size pickups through its passenger-side small overlap front crash test, which simulates when the front corner of a vehicle hits another car or a stationary object such as a pole, tree, or barrier. The test, performed at 40 mph, is relatively new; it has also been used on cars and SUVs. 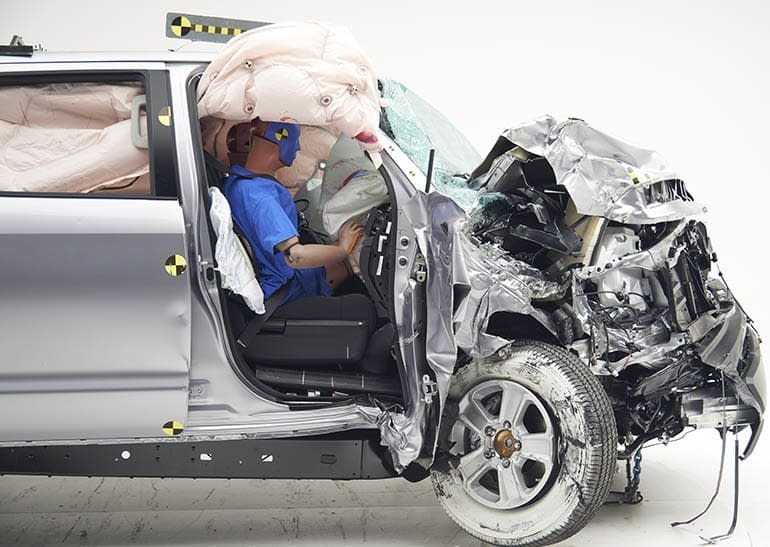 The IIHS gives vehicles one of four ratings—Good, Acceptable, Marginal, or Poor. The Toyota Tundra was the only truck to receive the lowest "Poor" rating. 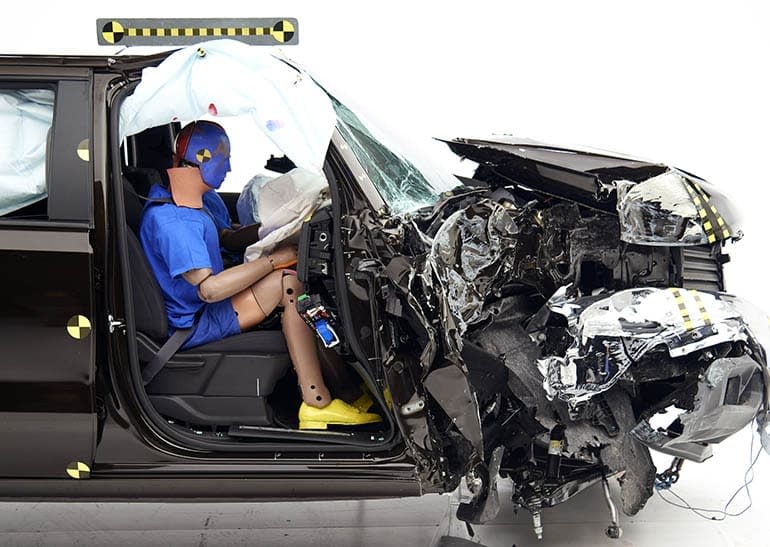 Contacted by CR, Toyota responded with a written statement that says the automaker is committed to safety and also points to other vehicles in its lineup that have performed well in IIHS crash tests. The statement also says, in part, "we’ll continue to look for ways to improve in an effort to exceed customers’ expectations—particularly in new testing such as IIHS’ passenger-side front small overlap for pickup trucks." The Ford F-150, Nissan Titan, and Ram 1500 were the only three pickup trucks to receive Good ratings. The highest-rated compact truck was the Toyota Tacoma, which got an Acceptable rating. The Chevrolet Colorado and its corporate cousin the GMC Canyon got Marginal ratings, as did the Nissan Frontier. 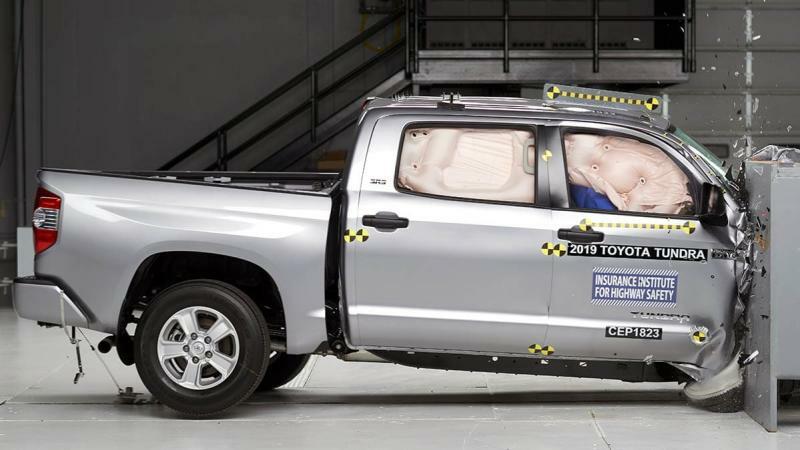 Only the Honda Ridgeline (which IIHS considers a large truck) got a Top Safety Pick designation—and even then, it only earns that honor, IIHS says, when it’s equipped with optional Good-rated headlights and advanced driver-assistance systems. CR also sought comment from automakers that received Marginal ratings in this latest round of crash tests. Nissan said in an emailed statement that it's committed to the safety and security of its customers and their passengers. 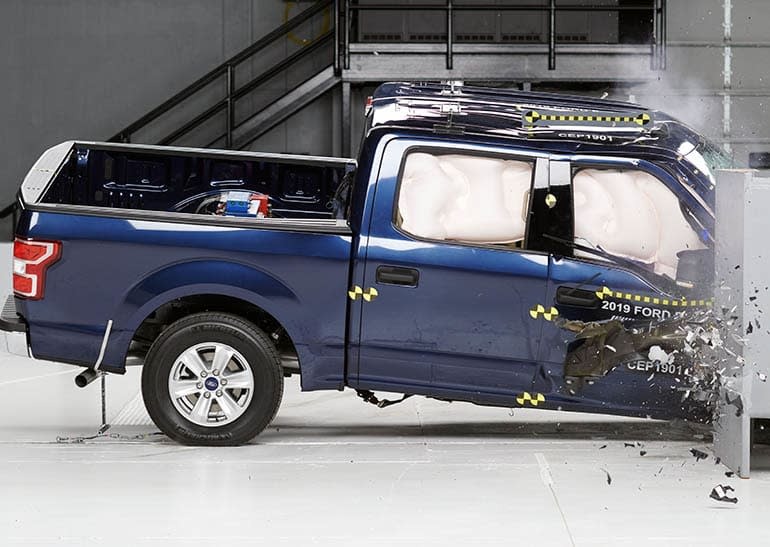 "Regarding the IIHS crash test ratings for the 2019 Frontier in the small overlap front crash test, Nissan is working with IIHS to review the test results along with other test criteria to determine if there are opportunities for improvement," the statement said. Zuby, the IIHS chief research officer, said that some of the trucks tested are based on much older designs than many modern cars and SUVs. The Tundra’s basic design dates to 2007, and the Nissan Frontier has been largely unchanged since 2005. By comparison, the Tacoma was redesigned in 2016 and the Ridgeline was redesigned in 2017. “It’s not surprising that a design that hasn’t been overhauled in as long at time as the Tundra for instance might not be offering state of the art protection in all types of crashes,” he told CR.